Not bad for a game that was dying in June. Pick a random moment in June and you'd likely find about 100 people playing Turtle Rock Studios' Evolve on Steam. That's not a lot of players in general, but this number is especially sad for a game billed as an online multiplayer extravaganza. One and a half years after launch, it looked like Evolve was dying. 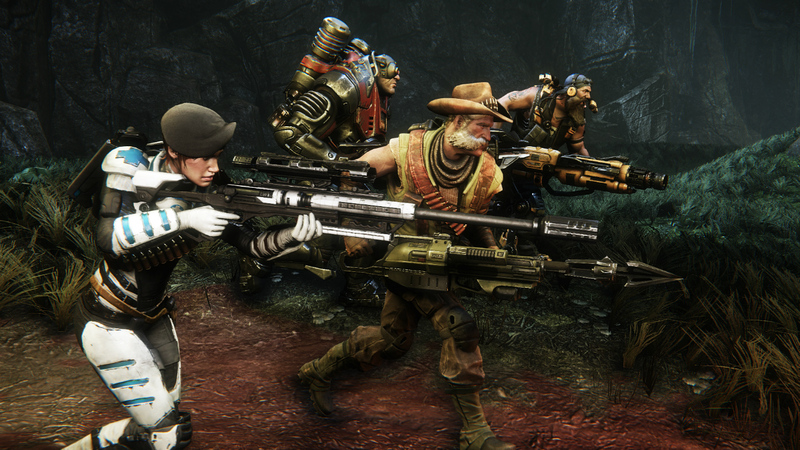 And then, in July, Evolve's active player base shot up to an average of 15,400 at any given time on Steam, according to current lead designer Brandon Yanez. This didn't happen by accident: Developers at Turtle Rock knew they had to take drastic action to save Evolve and so, on July 7th, they did. They made the game free on PC. Evolve originally cost $60, the standard price of an AAA video game, and it launched alongside a bevy of pricey downloadable extras. This flood of day-one DLC was one reason the game simply didn't hit, even though it received a ton of prerelease buzz from critics and players alike. "There was a ton of conversation in the community with regard to business models rather than discussion on the game itself," Yanez said. When Turtle Rock released Evolve into the wild, it landed smack in the middle of a "DLC shitstorm," according to studio founders Chris Ashton and Phil Robb. It was early 2015, and gaming forums and blogs were rife with conversations about developers overloading their titles with pricey downloadable content. Many players were sick of it and extremely vocal about their displeasure. Any mention of DLC, especially tied to a $60 AAA game, instantly ignited comment sections and Twitter. And Evolve certainly had a lot of DLC from day one. Players lambasted it for this fact, which surely influenced some people's decision to not buy the game. However, DLC wasn't Evolve's only problem. The game had a steep learning curve, Yanez said, meaning many players couldn't jump in and have fun right off the bat. On top of that, the game simply wasn't fun until late in each round. 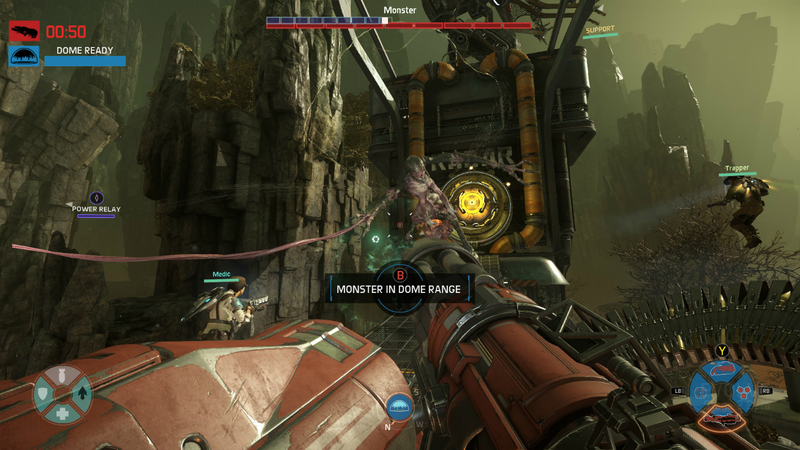 Evolve used an asymmetrical multiplayer strategy in which four players acted as hunters, each with an individual skill, and one person embodied a Lovecraftian kind of monster that attempted to evade capture and take down the other players. It looked like a fast-paced, hectic kind of game, but Yanez said it was criticized for being a "running simulator" before the monster gained all of its abilities. Basically, until that point, Evolve was boring. "After seeing our original player base decline and after reviewing a ton of feedback, we realized we needed to change the game so that it was faster-paced, less role dependent and more accessible," Yanez said. Going free was always on the table for Turtle Rock. Plenty of team members were fans of other free multiplayer games and they talked about the option early on in Evolve's development. Some of the most successful online multiplayer games in recent memory have been free, including League of Legends, Dota 2 and Hearthstone. Shooters, however, tend to have an entry price -- think Overwatch, Counter-Strike, Call of Duty or Destiny. Evolve was well within its genre's boundaries when it launched at $60. However, its sluggish gameplay simply didn't support a large, captive audience. 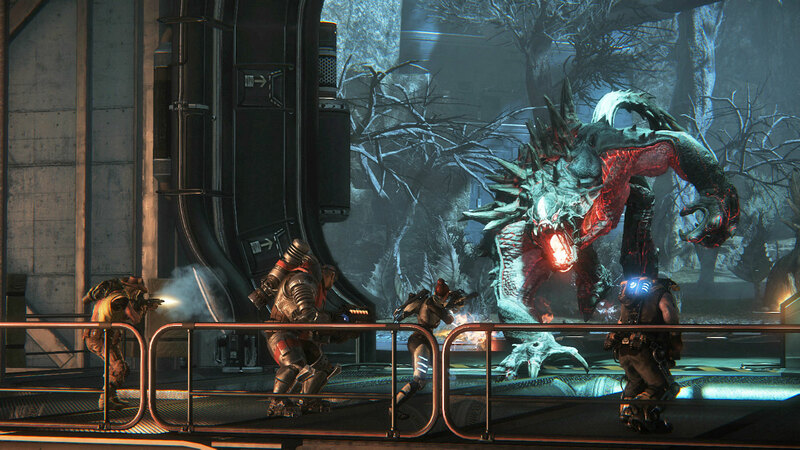 Evolve Stage 2, as developers dubbed the free version, didn't just include a price drop; it reworked how the entire game operated. The hunters were overhauled, lending them all a more robust set of skills, rather than rigidly defined roles. For example, originally, only the hunter known as a "trapper" could deploy a dome that caught the monster, but Stage 2 gave that power to all hunters. Plus, monsters started with enough skill points to unlock all of their abilities right away. The message was clear: No more running simulators. "That has probably been the most exciting thing about this first month [as a free game] so far, is how much has changed simply because our community asked for it," Yanez said. "We feel that has been the biggest difference. You still find wonderful people who become exceptional members of the community, but now there are way more opportunities for community growth and engagement with a much wider audience we could've never reached if we remained a 'paid' community." 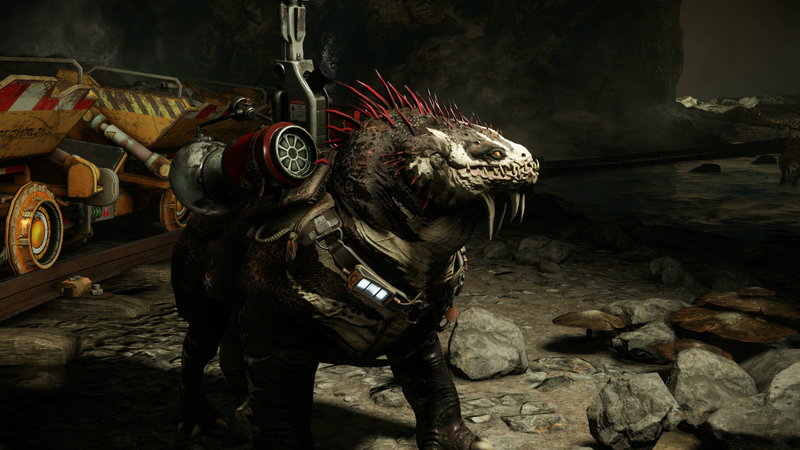 Evolve Stage 2 hit Steam for free on July 7th, bringing with it all of the content that Turtle Rock had previously released for the game. Since then, more than 1 million people have tried it out, and it reached a peak of 25,000 concurrent players just two days after going free. 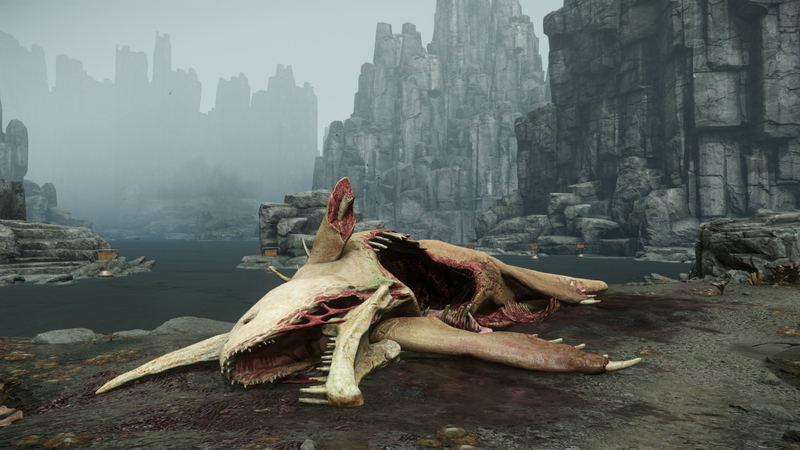 One month in, an average of 15,000 active players means Evolve certainly isn't dead just yet. Since the free version is a beta, Turtle Rock isn't concerned with monetizing it right away. Eventually, developers will roll out ways to buy things in Evolve Stage 2, but they're currently focused on building a solid multiplayer experience for PC players. The game still has a base price on consoles. Turtle Rock said that if the PC experiment goes well -- meaning, if Evolve can sustain a large and steady player base -- it'll go free on Xbox One and PlayStation 4 as well. To that end, the studio is focused on regularly updating and tweaking Evolve on PC in a bid to keep players interested. Turtle Rock recently kicked off "Shear Madness," a monthlong event that will introduce three new characters, three fresh map variants, a new game mode and a bunch of community-requested features. This is a far cry from where the game would be if it had remained a paid product. "We'd be reaching the tail end of our life cycle," Yanez said. "It's exciting for us to see people giving the game another chance, but we know this is only the beginning."